Wow. Wow. Wow. I'm so curious to learn this. Sounds very similar to Breslov. Any connections ? Did Rav Natan know about this Rebbe ? Your enthusiasm is awesome! I have seen some breslov-isbitz connections, after all, all teachings of chassidus are different branches of the Baal Shem Tov. THe Mei Hashiloach, (Rav Mordechai Yosef) passed away in 1854, and his son, the Beis Yaakov in 1867, if I am not mistaken. When did Rav Nosson pass away? It is reasonable to assume that everyone knew about everyone, we are talking about leaders who were controversial in their generation. It would take a bout a week by wagon to get from Isbitz to Breslov. about reading more of his writings. A fascinating and consise introduction. Profuse thanks! Reb Noson passed away in 1844. I never heard that he met the Izhbitzer, but we have a mesorah in Breslov that he did meet the Kotzker sometime after Rebbe Nachman's petirah. And we know that the Izbitzer's talmid Reb Tzadok HaKohen wrote annotations on Rebbe Nachman's Sefer HaMiddos (extant) and a perush on Likkutei Moharan (lost during the Holocaust). So there is definitely a Breslov-Kotzk-Ishbitz connection. I wonder why no mention was made of the extant synthesis of halachah and remez drash sod of Likutei Halachos. It seems as if there was something in the air at the time that encouraged this sort of work. I wonder like the others how much influence, if any, there was here. those excerpts are mind blowing! i think that those are some of the most radical teachings i have ever read! more !!! You are awesome! I am so grateful for you getting me on my way. be well. There is a lot on the synthesis of Halacha and Sod. Shaar HaMitzvos of the Arizal. 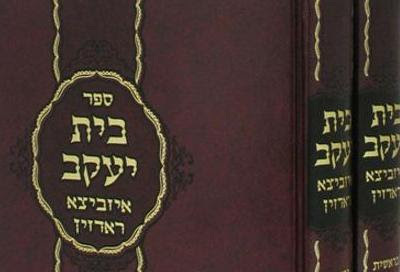 Derech Mitzvotiecha of the Tsemach Tsedek, Otsar HaChaiim of the Komarno. I have not yet seen a sefer for Rabbinical students on Yorah Deah al pi sod and chassidus. Thanks for giving me the zekhus of having helped in any small way. You are doing such wonderful things!